Today's update is a bit of a reignition of content expansion we started last year--adding travel-related posts that showcase some of the places our staff (okay, primarily me) has visited in the hopes that the information presented and inspire and inform others looking to venture to the same locales. Lets start off in the same place from which our first travel post originated last year: Paris, the City of Lights. I wrote an overview of the City of Lights last June, which you should totally check out if you missed it. In that overview, I included a plethora of attractions broken out into categories. That was meant to be a sort of index that would link to individual articles about each attraction. Obviously, that didn't get too far off the ground last year, but this year, I'm hoping to change the tune. At least until Halloween season hits in earnest, and you get haunt coverage for two months! 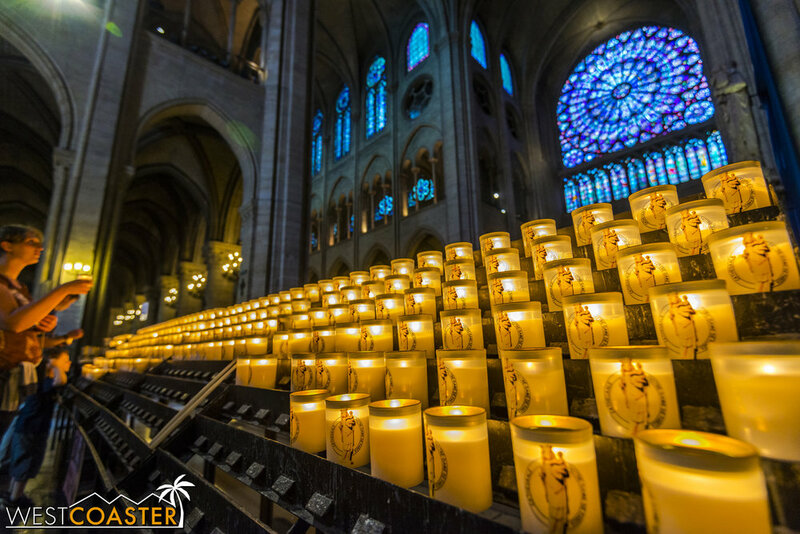 The Cathedral of Notre-Dame lies practically in the literal center of the city and is possibly the most visited cathedral in the entire world. 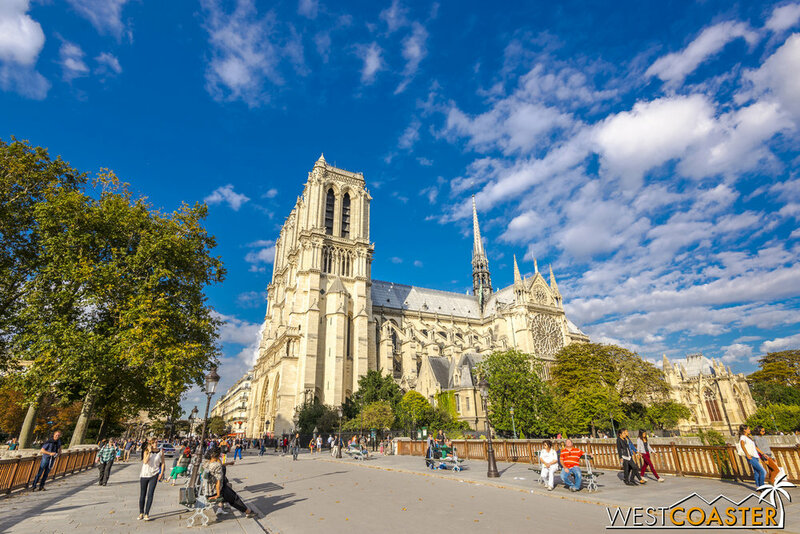 Paris is one of the most famous cities on the planet, and it offers a wide variety of different tourist attractions, from museums to parks to monuments. In a country that has been long dominated by Catholicism, though, it is the churches and cathedrals that hold the most historical weight and traditional beauty, and among the many cathedrals within Paris, the most popular and most grand is Notre-Dame Cathedral, the crown jewel of the Île de la Cité. 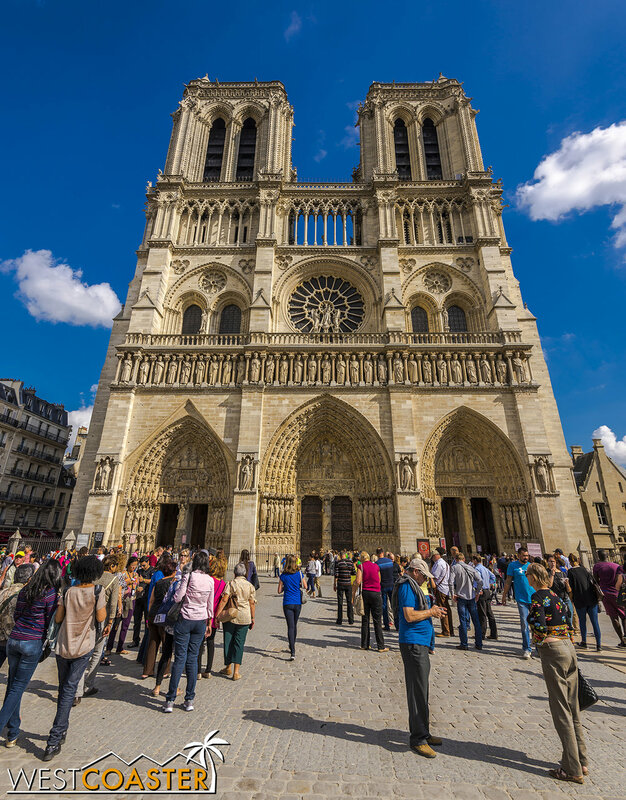 Make no mistake about it: Notre-Dame is a very busy tourist attraction, and for good reason. 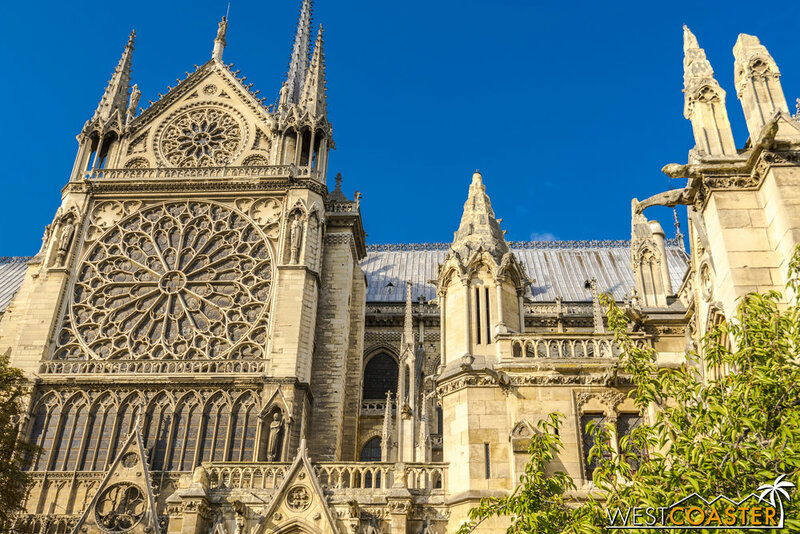 It is one of the finest examples of Gothic architecture, and its towering structure, magnificent sculptures, soaring interiors, and ornate stained glass and rose windows make it a truly beautiful building. 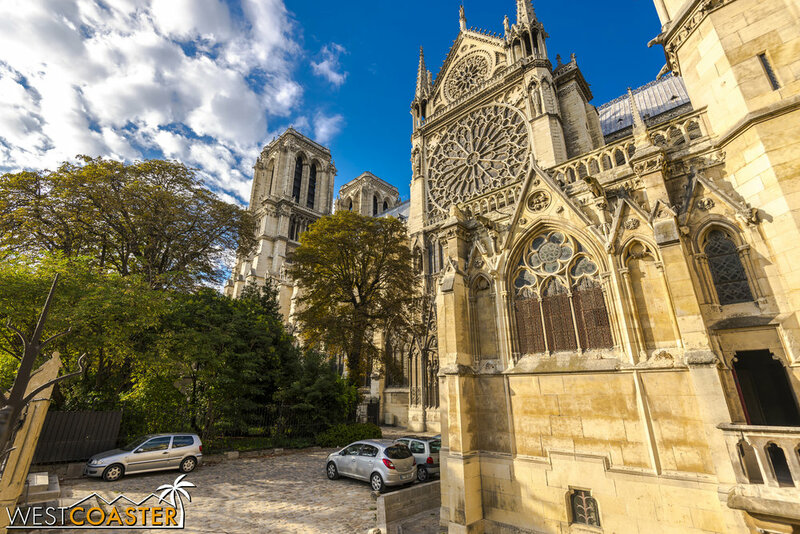 Constructed across three centuries from 1163 - 1345, this cathedral was among the first to make use of flying buttresses, those half-arched structures along the exterior of the church nave that are so recognizable in Gothic imagery. Its twin towers reach 226 feet in the air, while it's central spire over the transept stretches even higher--300 feet. 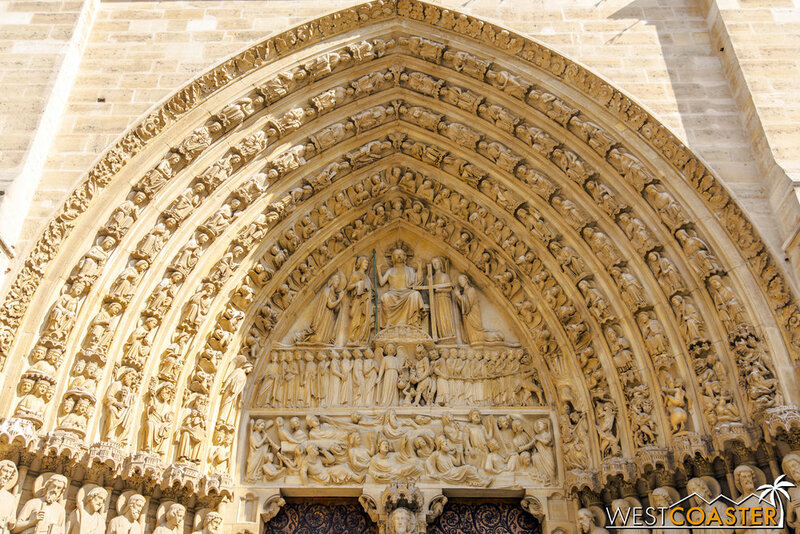 The portals at Notre-Dame's western-facing entry facade are meticulously carved with depictions of the Last Judgment, the Virgin, and St. Anne, showing pivotal moments in the life of Jesus Christ. High above the city, its famous gargoyle sculptures stand guard at the towers. Its location in the middle of the Seine River also yields a beautiful waterfront park space, adding to the serene and stately allure. As you can see from the photos, it's an understatement to describe Notre-Dame as even just a pretty sight. It is pretty magnificent. The Portal of the Last Judgment stands center between the two towers at the front of the cathedral. The interior space is no less impressive, with a lofty groin vaulted ceiling supported by two tiers of pointed arch arcades and a third tier of arched stained glass windows high above at the clerestory level. These windows, with enchanting colored glass, filter ethereal light into the space below. The apse at the east end, containing the chancel and altar, is bold and monumental in its own right, with weighty stone columns supporting a hefty structure above. The presence of stained glass windows here, coupled with the candlelight illumination gives this space captivating feel. 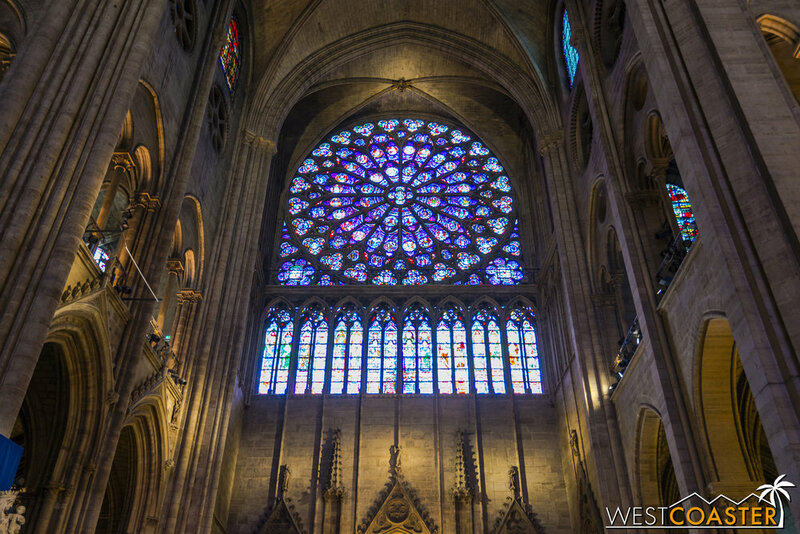 Indeed, the inside of Notre-Dame de Paris very much feels like a space built to inspire awe in God. The very architecture compresses people into insignificant guests in the presence of such grandeur. The towering, vaulted interior is incredibly iconic and photogenic. The downside of such mighty opulence is that the cathedral can be incredibly crowded at times, to the point where this place of God feels less like a sacred religious institution and more like a hollow point of interest. To some, the lack of tranquility can be a turn-off, though guests arriving first thing in the morning are much more likely to gain some feeling of calm within. 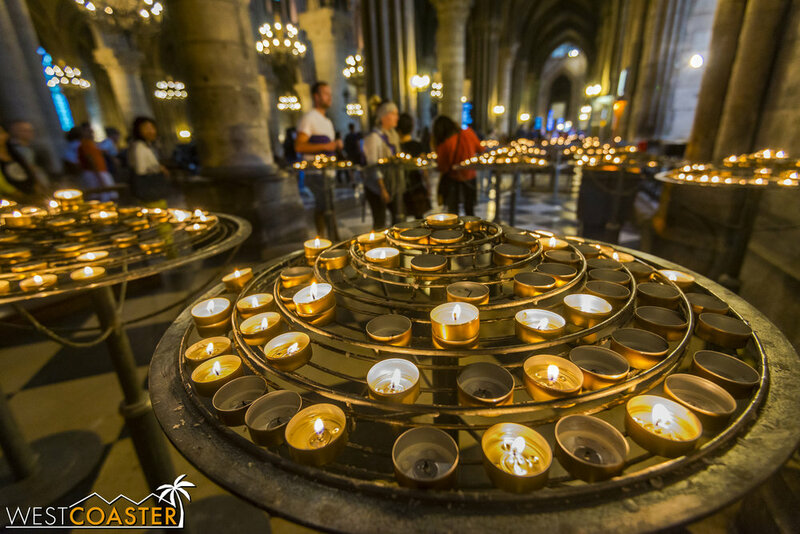 There are plenty of other fantastic churches and cathedrals in the city, and travelers who prefer attractions off the beaten path or out of the mobs of tourists may not deign to visit Notre-Dame. For everyone else, however, it's a must-see for visitors to France's capital. It's rare to find a quiet spot of solitude within the cathedral, but sometimes, timing can be fortuitous. 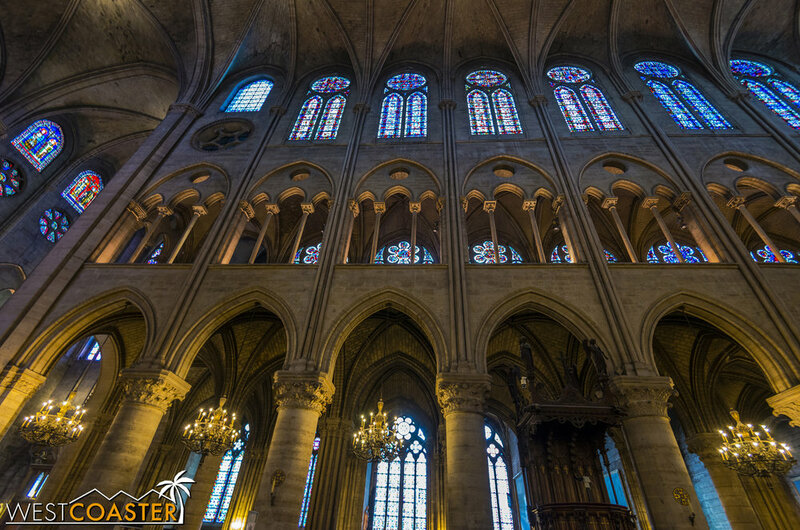 For photographers, Notre-Dame is a gold mine of lovely angles and sumptuous lines and heavenly lighting. 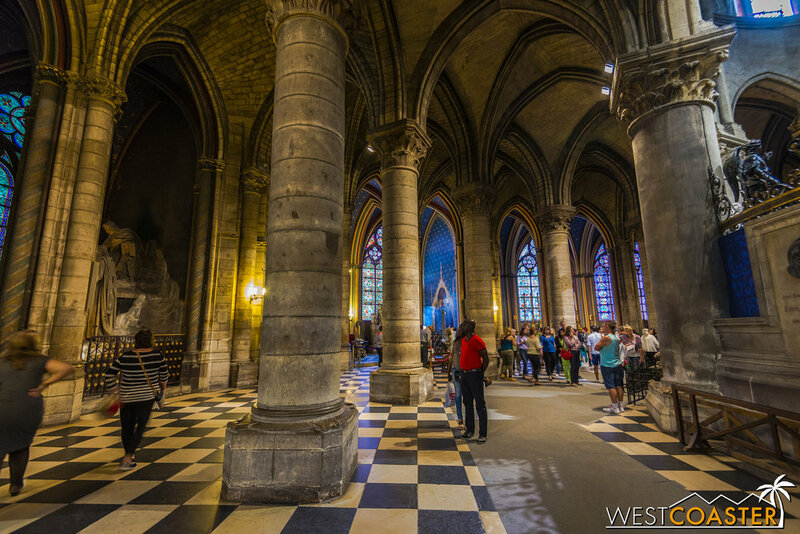 Those who elect to pay extra (or have the Paris Museum Pass) can climb the 422 steps up to the tops of the cathedral towers, affording themselves sweeping and beautiful views of the city all around them. They also can get close-up's of the famous gargoyles and the famous tenor bell so famously depicted in so many films set in Paris. History and architecture fans might also enjoy the Crypt, a museum space located underground in the plaza adjacent to the church, showcasing archaeological finds dating back to Roman times and providing lessons in the development of the city over the centuries. This too is an extra charge (but also included in the Paris Museum Pass), but it is a great attraction for those who enjoy learning about architectural and urban development from historic times. 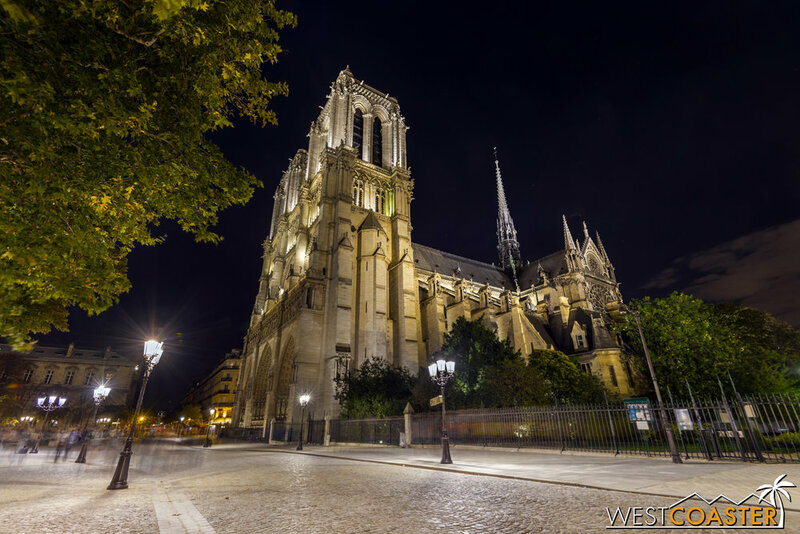 The Cathedral of Notre-Dame in Paris is less packed at night, especially since it is closed, but people still gather around the plaza in front of this icon all throughout the evening. 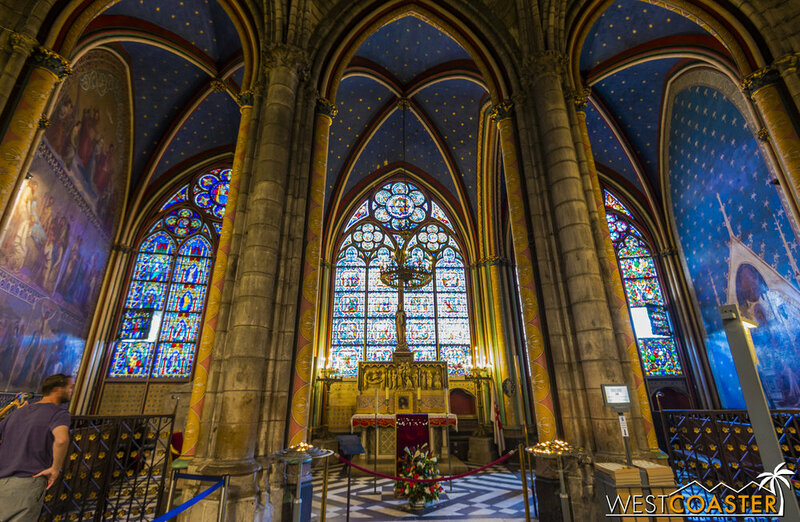 It shouldn't be surprising to see the appeal in Notre-Dame de Paris. It is the quintessential cathedral in all the ways we imagine based off what we have seen from movies and media. To this day, it still offers mass daily, and the atmosphere within this holy space can be a soul-stirring ambiance. Although it definitely suffers from some of the inconveniences of mass tourist attractions--including crowds and pickpockets--it is deserving of its acclaimed fame and its annual visitor count. Notre-Dame is the heart of the city, and the Seine is its lifeblood. 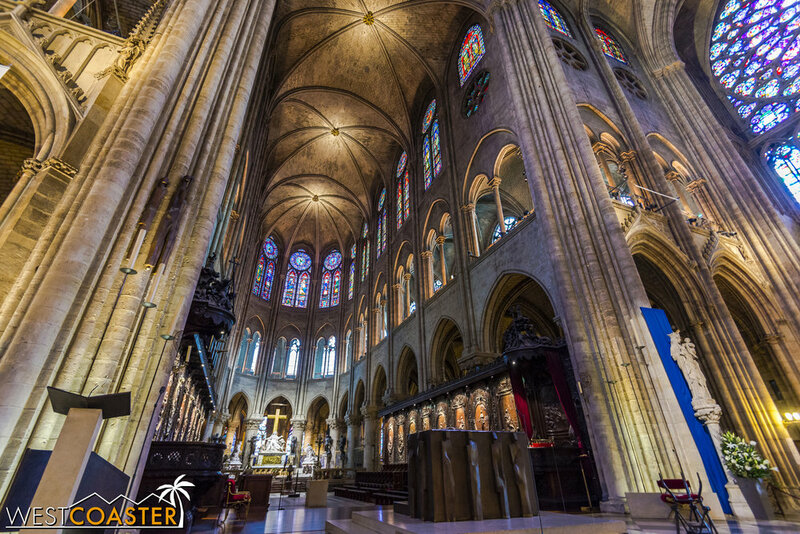 A visit to this cathedral is assuredly an unforgettable experience.